Brookside Optometric Group doctors are committed to you and your eye health, and to the community we share. From college scholarship contests for local high school seniors to medical mission trips around the globe, we believe in giving back and making a difference. Our doctors are actively involved with numerous local charitable organizations, including the Central Valley Youth Symphony, Delta Humane Society, The Women’s Center, and St. Mary’s Homeless Shelter. We also support international programs such as the Red Rhino Orphanage in Kenya, Lions in Sight, and The Flying Samaritans to help change lives in communities all over the world. As part of our ongoing goal to give back, we want to celebrate all that makes Stockton a thriving community. We are proud to be part of this city, and excited to provide you with an incentive to get out and enjoy the amazing opportunities Stockton has to offer. 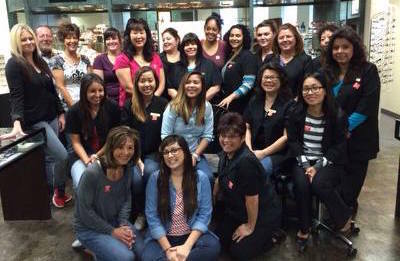 In April, the Brookside office chipped in to wear denim to work and raised over $80 in support of Autism Speaks! The organization works to increase understanding and foster worldwide support for people living with autism. 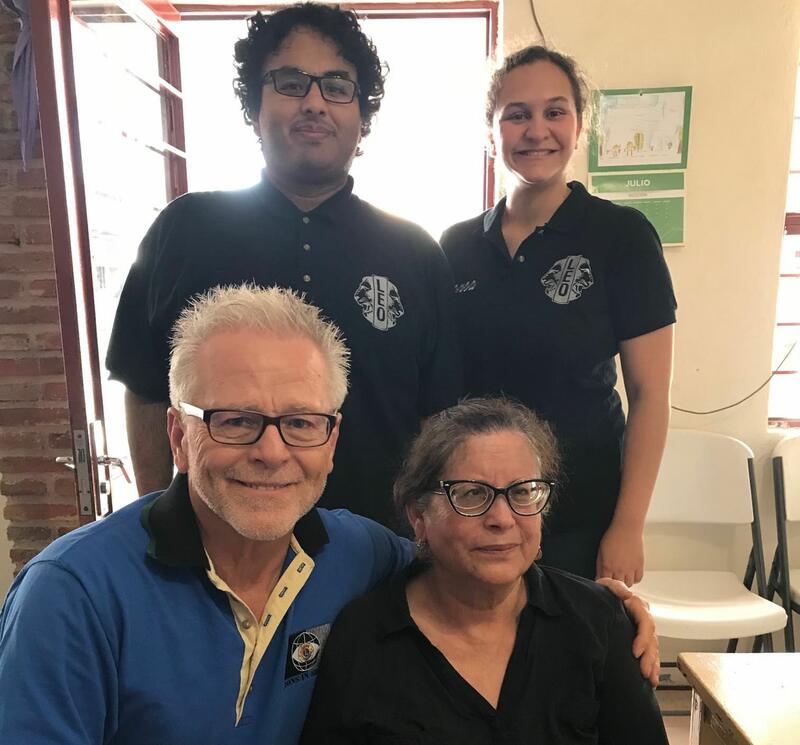 Dr. Demshar and two other Flying Samaritans flew to Ensenada, Mexico to participate in a Friends In Sight Vision Clinic. 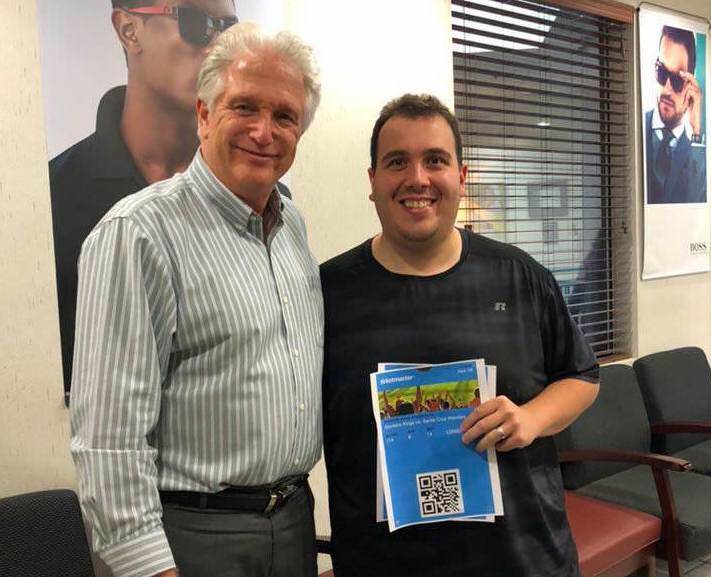 The doctors examined 750 patients and prescribed eyeglasses along with referrals for Cataracts, Glaucoma, and Diabetic and Hypertensive Retinopathy. 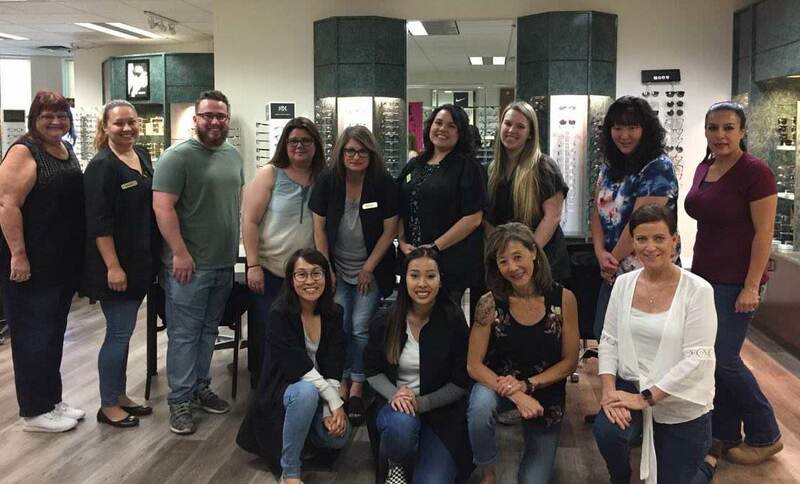 For the last four years, Brookside has been a rotation for the interns from the Optometry program at the UC Berkeley, School of Optometry. In March, a group of interns spent the week at Brookside, shadowing the doctors and learning more about the details of managing a private practice. 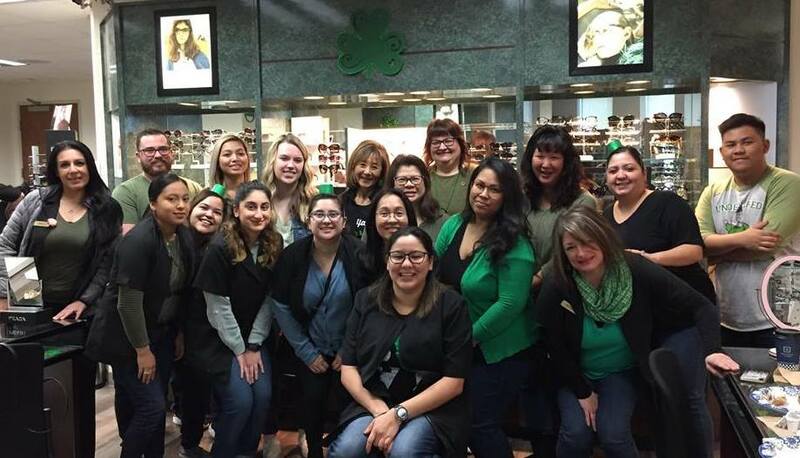 The Brookside office chipped in to wear green and denim to work for St. Patrick’s Day and raised $100 to support multiple sclerosis research to create a world free of MS.
Our office chipped in to wear denim on Valentine’s Day and raised $100 in support of the Child Life Program at Sutter Children’s Center, Sacramento! 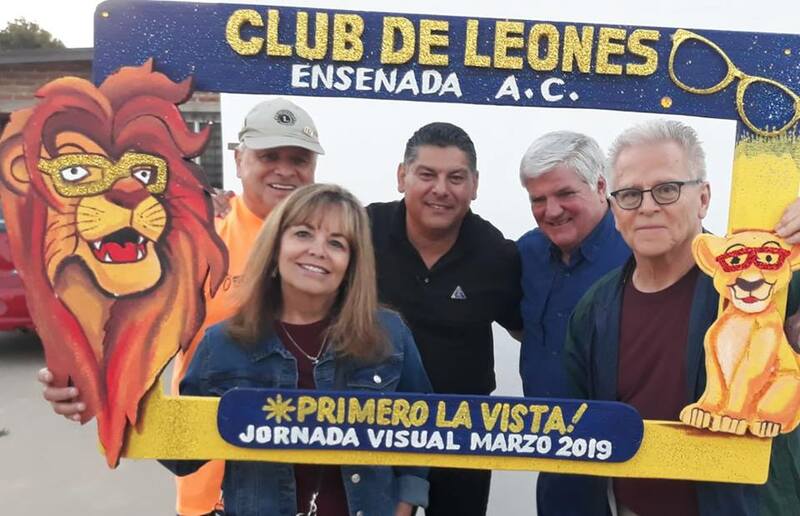 Dr. Demshar and a group from Lions in Sight of California and Nevada traveled to the La Paz/Cabo area for their first clinic mission of the year. The team examined more than 2,000 patients during the weeklong vision clinic. 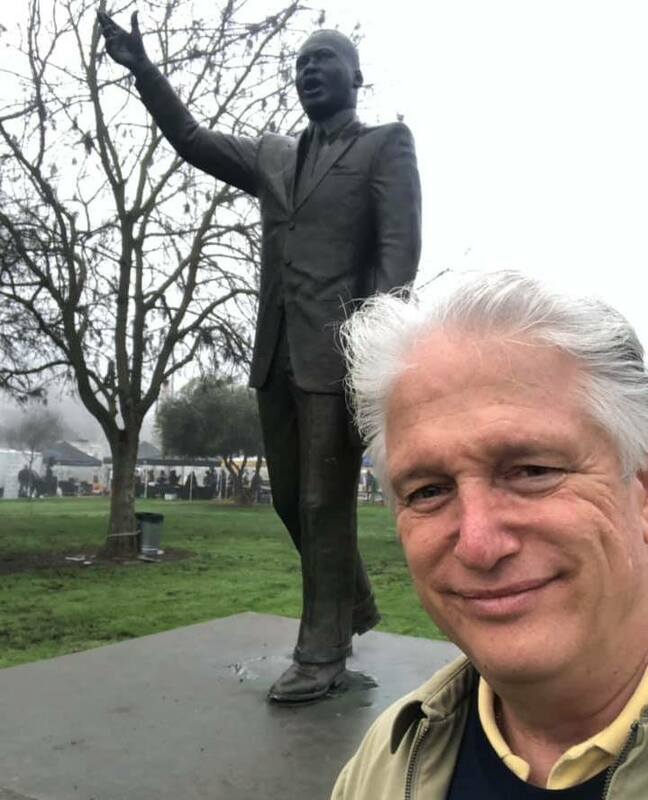 Dr. Bob participated in the 2nd Annual Dr. Martin Luther King, Jr. Run & Walk in Stockton. This annual event supports Health and Wellness programs in the Stockton/San Joaquin area. 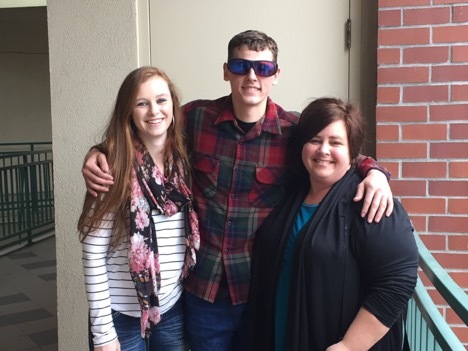 Christmas came early for a fire victim from Paradise. 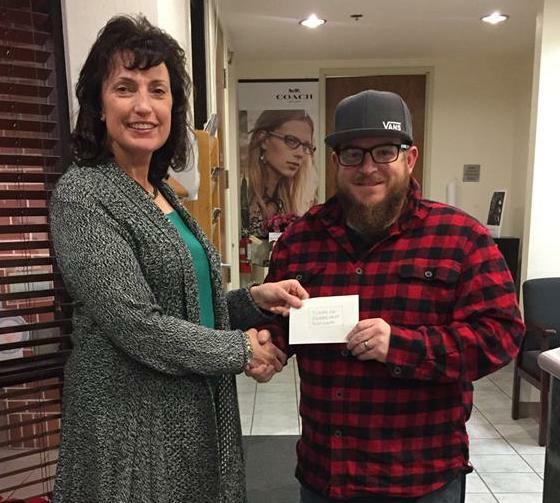 Doug lost everything in the fire, and by special arrangement with Brookside Optometric Group, Santa gave Doug the gift of seeing color for Christmas! Read Doug’s story here. We supported the Stockton Heat and gave away two tickets to Military Appreciation Night to a local U.S. Air Force Veteran. We asked the community to help us choose a winner by nominating a deserving veteran or active service member. 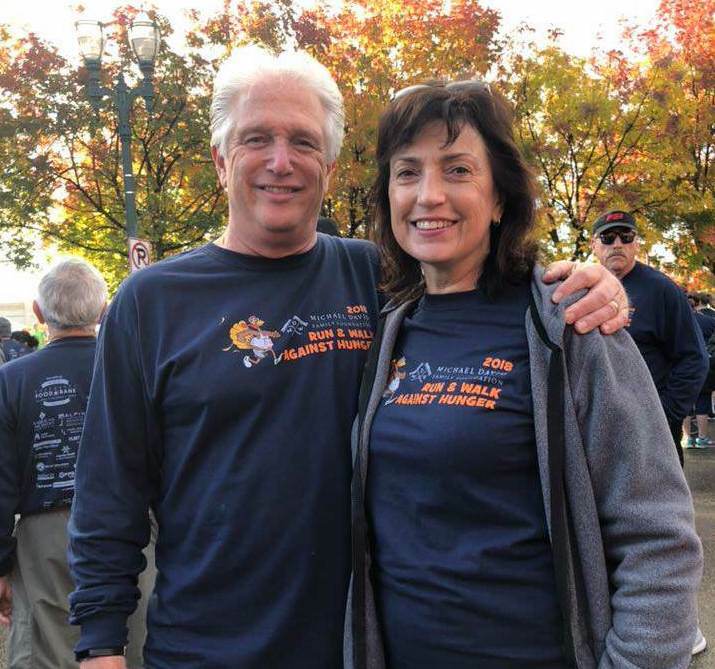 Dr. Bob and Dr. Rosie kicked off their Thanksgiving morning by participating in the 14th Annual Run & Walk Against Hunger. This annual tradition benefits the Emergency Food Bank Stockton/San Joaquin County. We supported the Stockton Kings by giving way two tickets to the November 19 Kings vs Santa Cruz Warriors game. 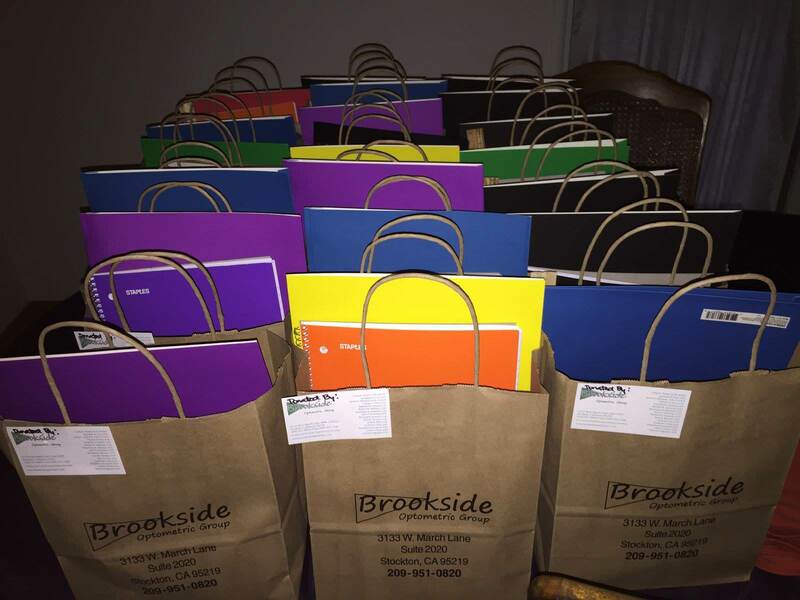 Brookside Optometric collected food for the homeless for Thanksgiving. 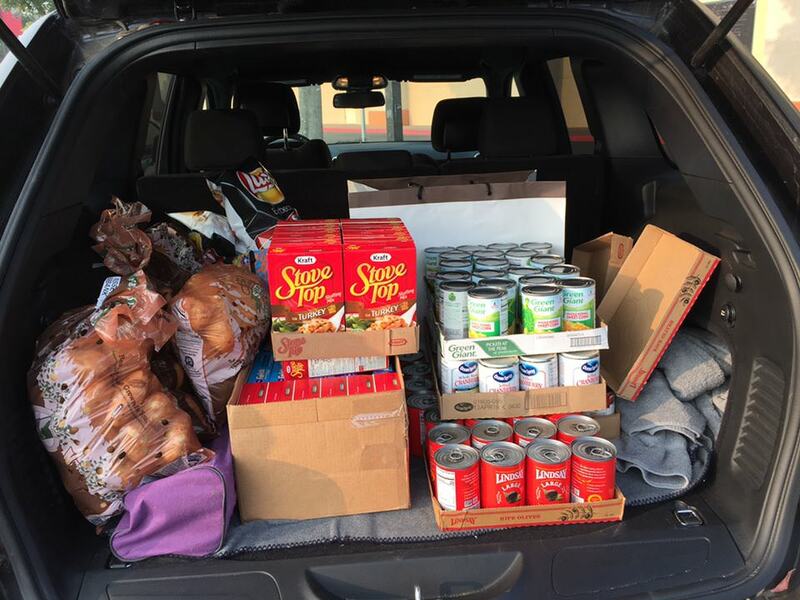 Thanks to the support of our generous patients, we were able to provide enough food for 20 families for the holiday, and all of the groceries were donated to the Emergency Food Bank Stockton/San Joaquin County. On November 1, Dr. Demshar along with 13 other doctors and 24 technicians from Lions In Sight of California and Nevada traveled to Tirana, Albania. The team set up 3 clinic sites in the capital city and 6891 patients were examined over the course of the week. 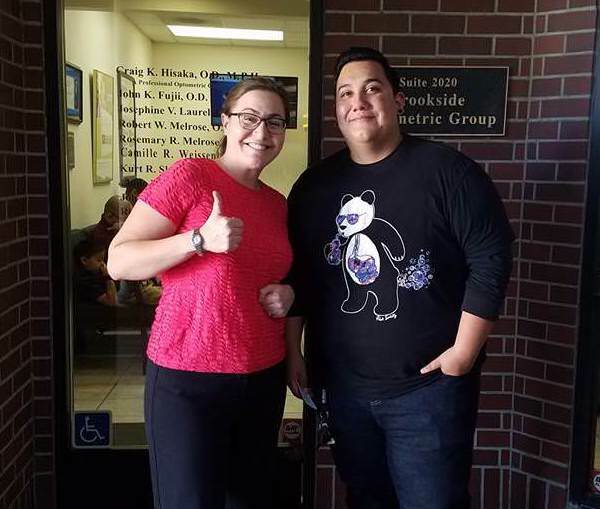 We supported Stockton’s local dining scene by giving away a gift certificate to Central! 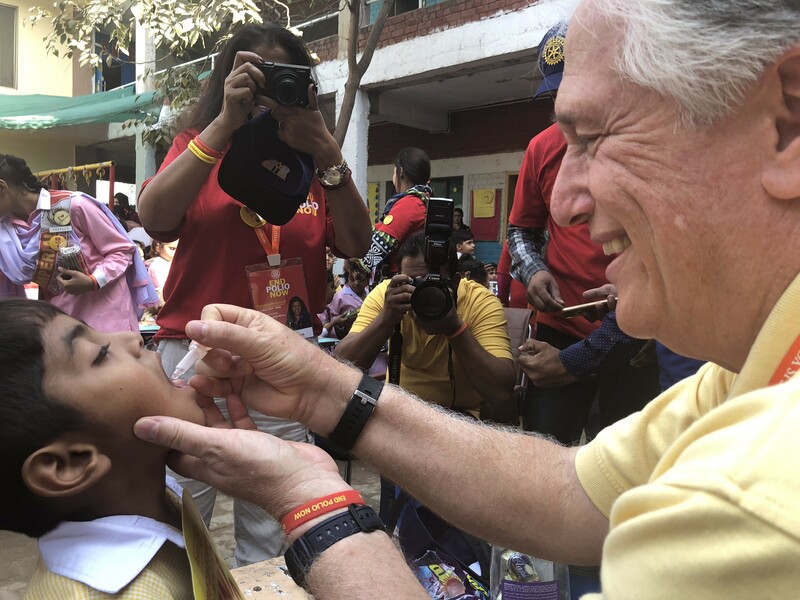 Dr. Bob Melrose traveled to Pakistan with his Rotary District and worked with local Pakistan Rotarians to vaccinate hundreds of children against polio. Drs. 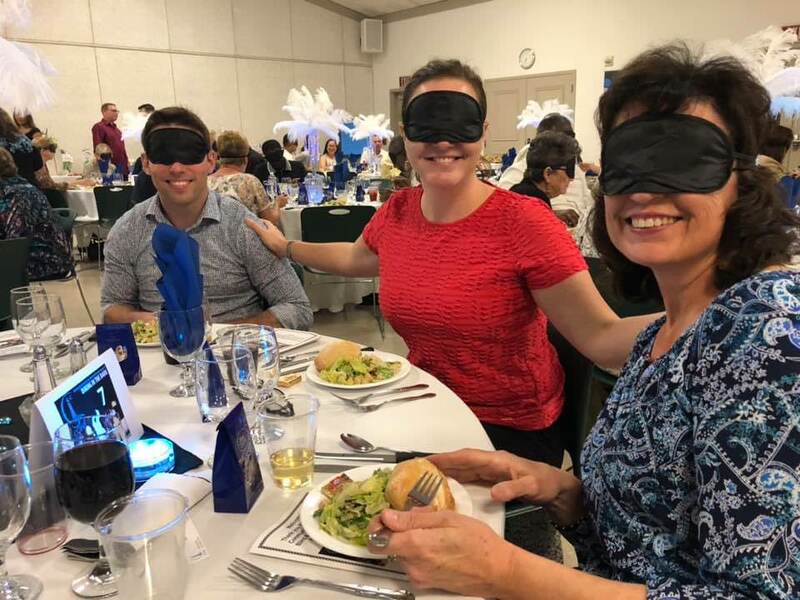 Bob and Rosie Melrose, Dr. Camille Weissenberg, and her husband Jacob sponsored the 2nd annual Dining in the Dark fundraiser to support Community Center for the Blind and Visually Impaired. Drs. 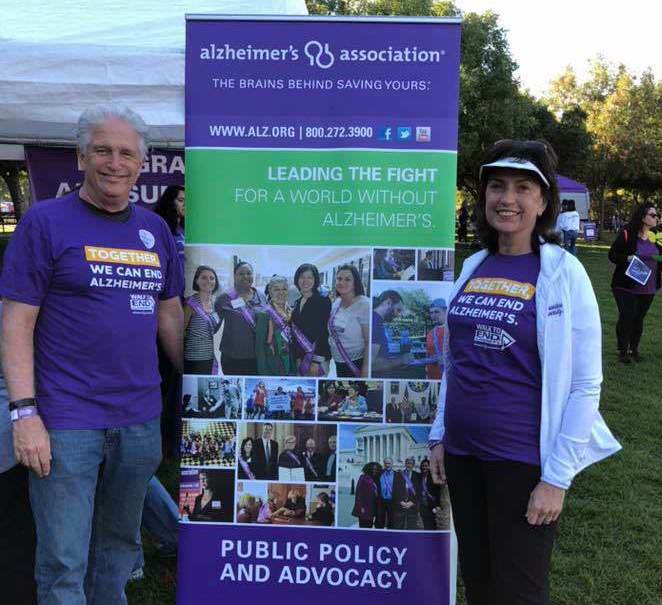 Bob and Rosie Melrose participated in and donated to the 2018 Walk to End Alzheimer's. The event raised over $160,000 to help advance the care, support and research efforts of the Alzheimer's Association. Drs. 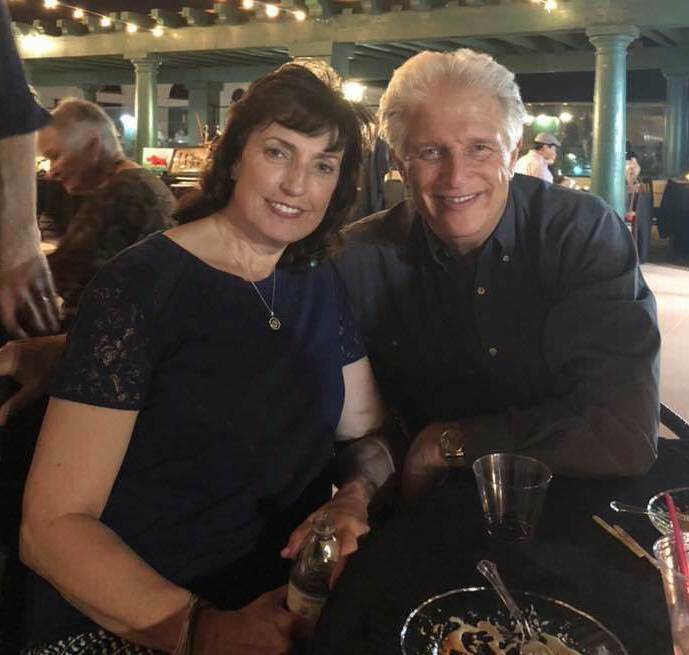 Bob and Rosie Melrose sponsored the One Under The Stars dinner to benefit and support the Red Rhino Orphanage Project. Founded by local Stocktonians, the group has made an amazing difference in the lives of many children in Kenya. Brookside had a great time at the third annual Rotary Pins-Community Wins fundraiser for Stockton Sunrise Rotary Club. Sponsored by Brookside Optometric Group, Dr. Bob Melrose, and Dr. John Demshar, the community event supports our local schools and military. 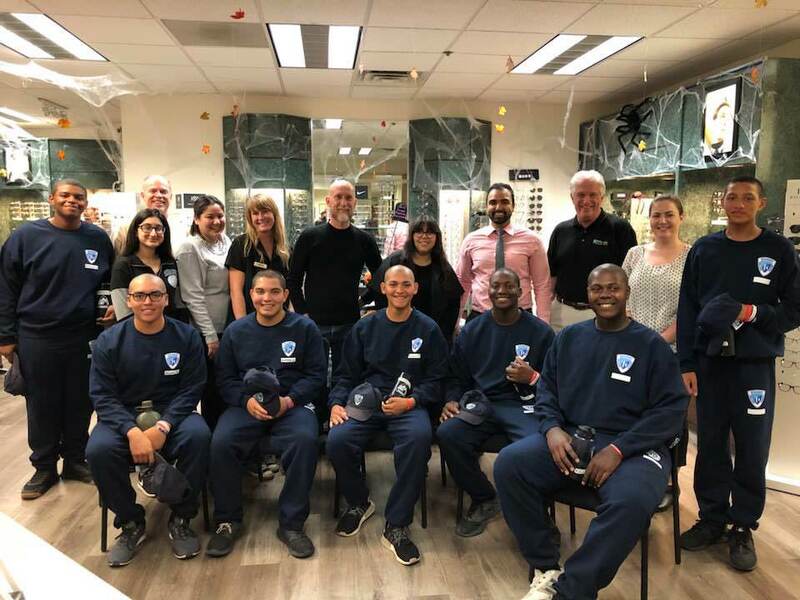 Brookside Optometric once again had the honor to help the cadets at the Discovery Challenge Academy by providing them with free eye exams and glasses. We supported the Stockton Symphony and gave away a pair of tickets to Classics 1 - The Sights and Sounds of Stockton. We supported Stockton’s local dining scene by giving away a gift certificate to Papapavlo's! Dr. Leila Chow and Dr. Bob Melrose volunteered at the Tzu Chi mobile vision clinic to help the residents of Boggs Tract with their vision care needs. The screening provided free exams and glasses for all of the patients. We sponsored All City Rotary Peace Night at the Stockton Ports in August. 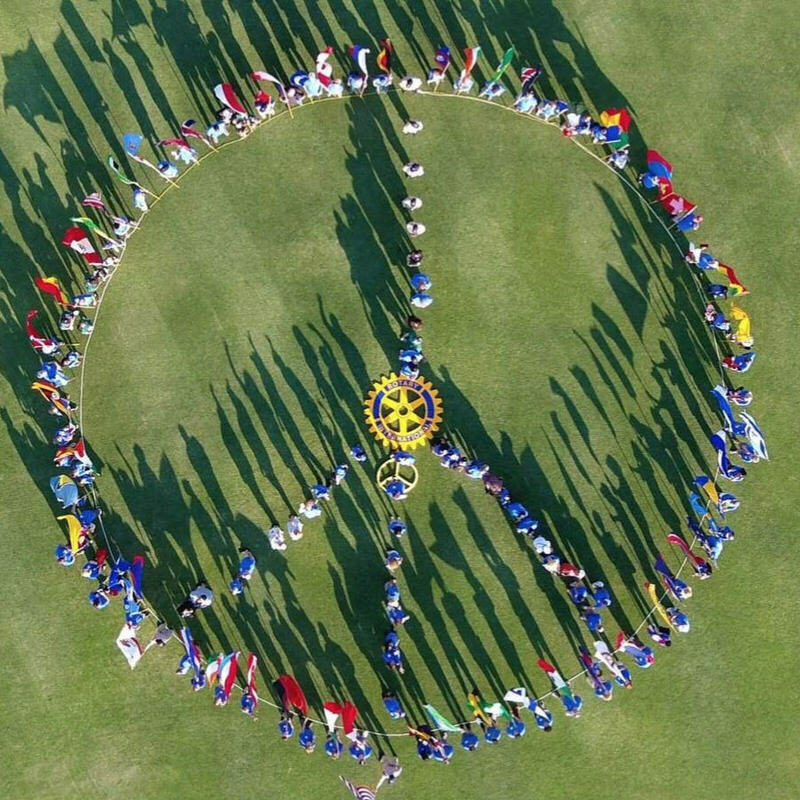 Dr. Bob Melrose participated in the formation of a giant peace sign with each member carrying one of 72 flags of each country that has an international project associated with Rotary District 5220. Throughout the month of July, we collected school supplies to help local students have a successful school year. At the start of the school year, we delivered bags of supplies to Mrs. Saporita-Jackson's second grade class at Victory Elementary School, and backpacks filled with school supplies to Cesar Chavez high school students. 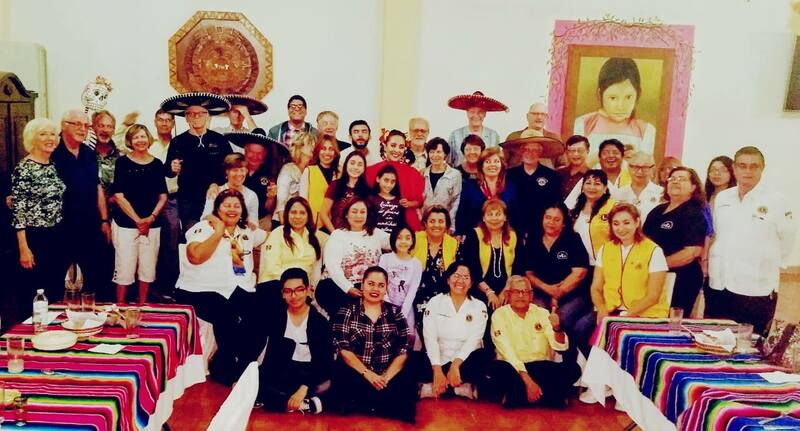 From July 20-21, a group from Lions In Sight examined 1080 patients in the city of Jerez, Zacatecas Mexico. Dr. Demshar and his wife Debbie were joined by his brother and cousin, who brought along their own recycled glasses to dispense to patients. Four other doctors and four technicians from California and Nevada also participated. 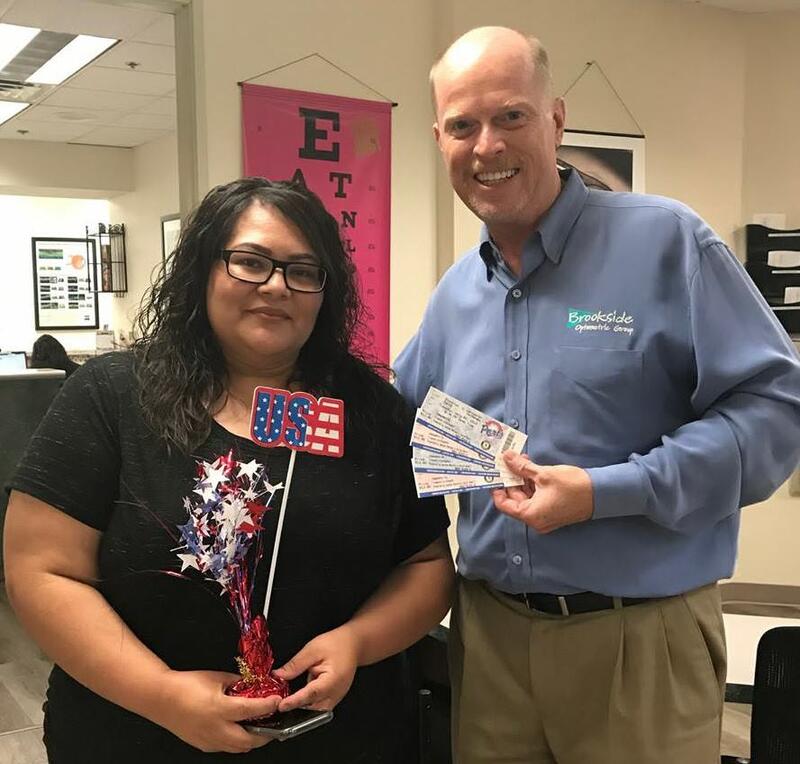 We hosted a giveaway for Stockton Ports tickets, just in time for Independence Day. We gave away four tickets to the July 3rd game and fireworks show! 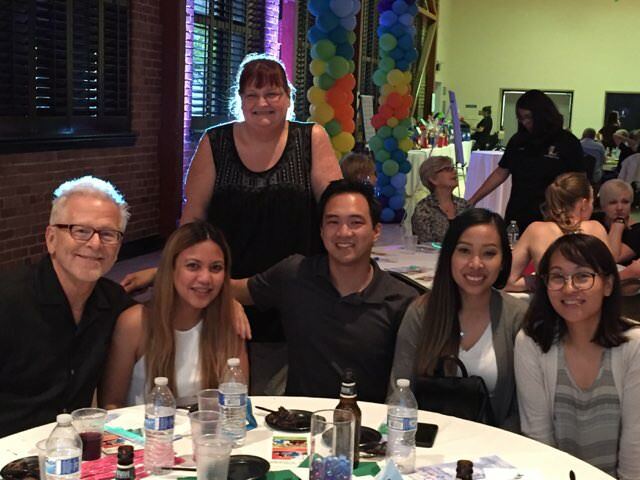 In June, we had the opportunity to help sponsor Leadership Lodi's "Shine a Light" fundraising dinner to support The Village Lodi. The Village is an upcoming adult developmental and community center that will provide programs, resources, enriching activities, and practical skills for those with intellectual and developmental disabilities in Downtown Lodi. Dr. Demshar and a group of Flying Samaritans from the Mother Lode chapter flew to San Quentin, Baja where Vision, Medical and Dental Clinics were held. The team saw 108 patients in the eye clinic, and all but three patients were dispensed eyeglasses. 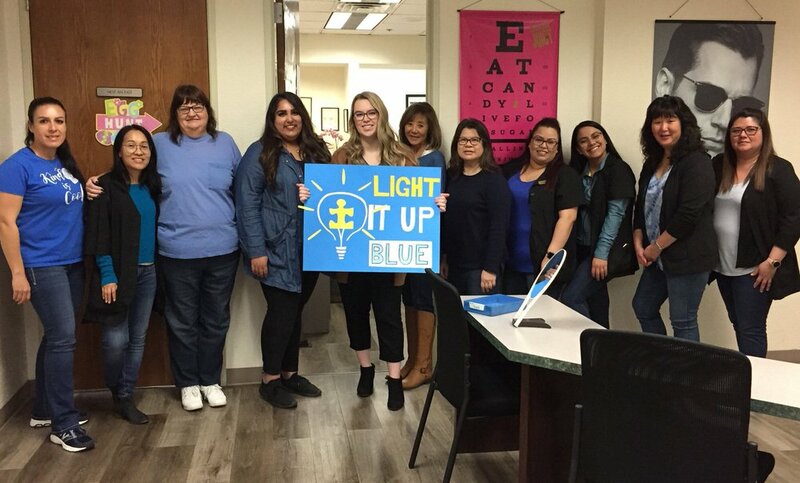 The Brookside office chipped in to wear denim to work and helped raise funds to send high school students to summer camp with Giant Step Programs. The Stockton nonprofit organization supports local high school teens to become well-rounded individuals and make a difference in the world. Brookside Optometric is a proud sponsor of the Red Rhino Project in Kenya, Africa. The Red Rhino Project is an orphanage that was the dream of local Stocktonians who saw the need of the poorest abandoned children in Africa to have a safe place to grow up and find a family. This year, we supported their Kenya Walk-a-Thon to help bring awareness to their needs and help restore the surrounding community. 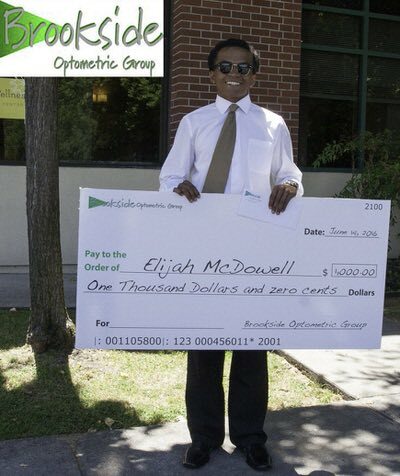 We sponsored our third annual $1000 College Scholarship Contest for local San Joaquin County high school students. To enter the contest, class of 2018 seniors submitted a 100-word essay sharing what education has meant to their family. Arica Aninag from Lincoln High School received 1917 votes and submitted the winning 100-word essay to receive the $1000 scholarship award. We continued our ongoing partnership with Discovery Challenge Academy to provide free eye exams and new glasses to 10 high school students. 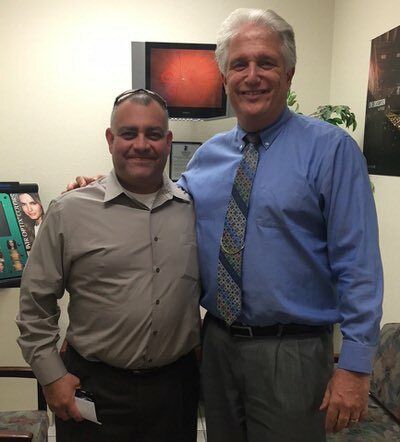 Based in Lathrop, Discovery Challenge Academy (DCA) opened in January 2017 as a partnership between the California National Guard and San Joaquin County Office of Education. We are proud to partner with DCA as part of our commitment to make a difference in the lives of at-risk youth. We honored Denim Day on April 25 to help bring awareness that a woman’s clothes are never an excuse for sexual violence. 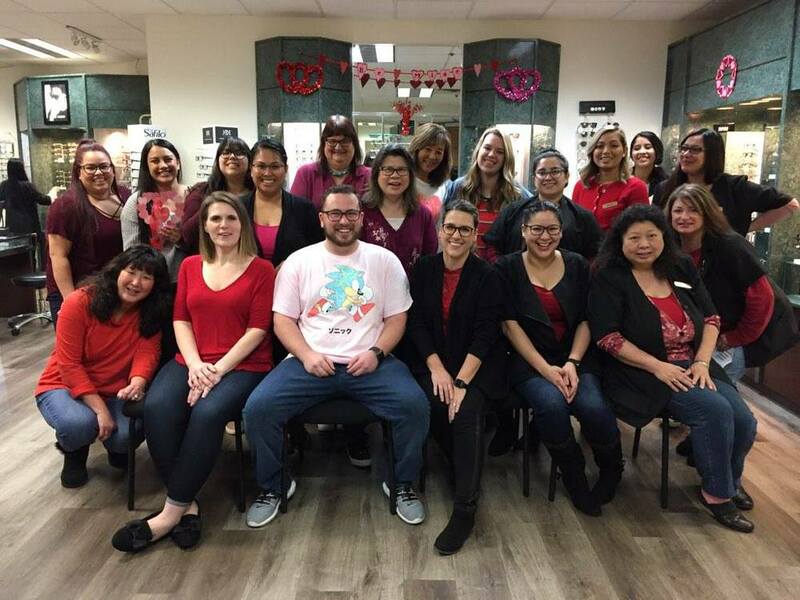 Our staff chipped in to wear denim to work and hosted a bake sale to raise money for Women's Center-Youth & Family Services of San Joaquin County. During the Lions in Sight medical mission clinic to Cabo San Lucas, Mexico, 980 patients were given free eye exams and glasses. 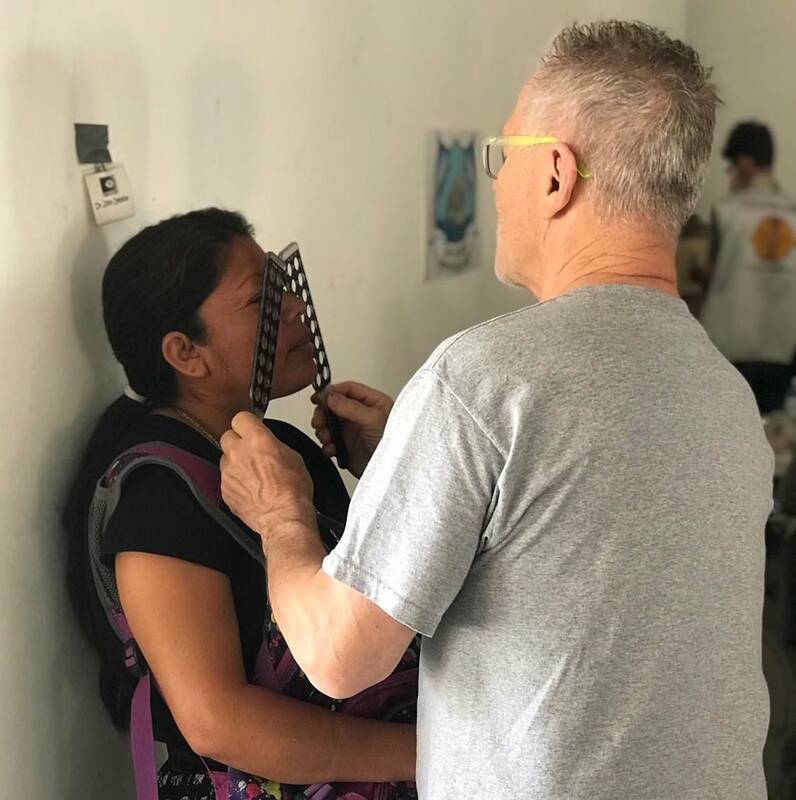 A team of 5 doctors and 10 volunteers dispensed glasses during the two-day clinic, including Sharon, Erica, Dr. Demshar, Bev, and Dr. Grewal from Zeiter Eye. We all had a great experience! 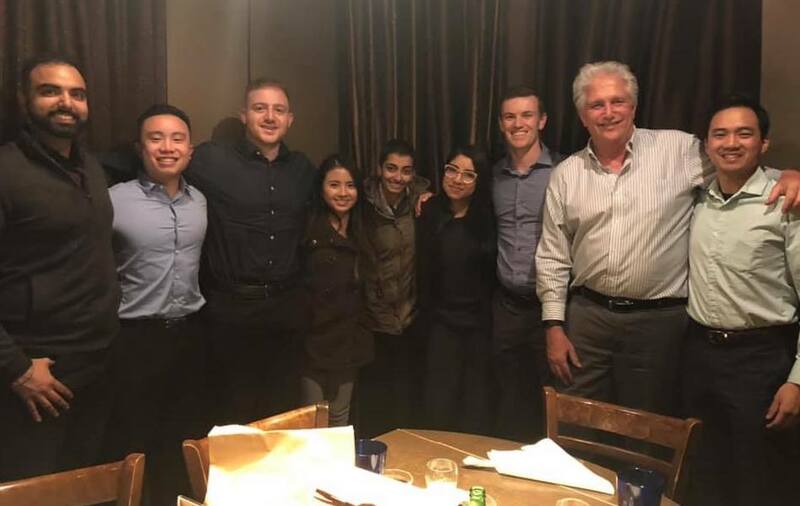 Three years ago, we established the first-ever private practice rotation for UC Berkeley Optometry students. In March, several groups of students visited our practice to learn about private patient care. These young doctors are our future, and we are honored to give back to our profession through this ongoing project! Our staff collected donations of personal care items throughout the month of March and assembled 38 bags for men, women, and children to support St. Mary’s Homeless Shelter. Thanks to all of our wonderful patients for the generous donations! 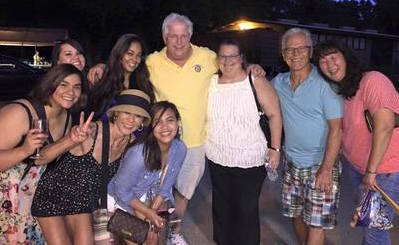 Dr. Bob traveled to the Philippines on a Rotary Cultural exchange. The group of 24 Rotarians toured the Quezon province, explored the country, and met with local Rotarians to assess their needs. The members of the team donated their own money to provide leg braces for a young man who was afflicted with CP, and made arrangements for him to see a doctor and receive treatment. We are proud of how our doctors look for ways to give back to our community and the world. We partnered with the Stockton Chorale as a concert underwriter for the February “Awaken the Dream” performance honoring the memory of Dr. Martin Luther King, Jr.
We supported the UOP men’s basketball team by giving away four on-the-floor-tickets to the February 8 UOP vs Gonzaga game. We celebrated our 20th Anniversary as a practice in January and hosted an Open House to celebrate with our amazing patients, staff, and friends. It was a great evening of celebration, fun, food, and special giveaways. Thanks to all who joined us! 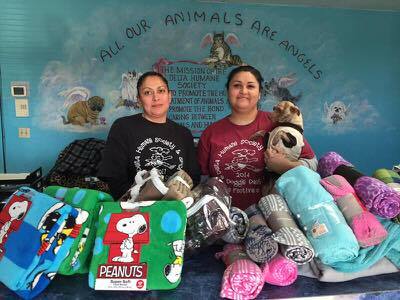 In December, we collected blankets, pet supplies, and dog and cat food from our generous staff and patients. The donations were delivered to our four-legged friends at Delta Humane Society and City of Stockton Animal Shelter. Throughout the month of December, we collected coats at the office to donate to the homeless. Our elves loaded up the many warm coats donated by our wonderful patients and delivered them to local shelters to keep many people warm throughout the holiday season. 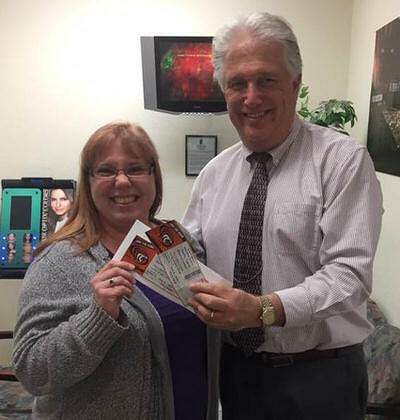 We supported the Stockton Symphony during the holiday season and gave away two tickets to the December 10 Holiday Pops Concert. To enter the giveaway, participants shared their favorite Christmas activities with us. We supported the Stockton Civic Theatre and gave away two tickets to the opening weekend of Mamma Mia. To enter the giveaway, participants shared a photo of their best Halloween costume. Our staff participated in the Making Strides breast cancer walk at Nelson park and wore pink to raise support for breast cancer research. We raised $200 in support of the American Cancer Society—thanks to all who generously supported our team and partnered with us in the fight against cancer. Our doctors and staff provided free eye exams and glasses for the cadets from the fall class from Discovery Challenge Academy in Lathrop. The DCA is an amazing group of people making phenomenal changes in the lives of the cadets they serve, and we are honored to have a small part in the program. 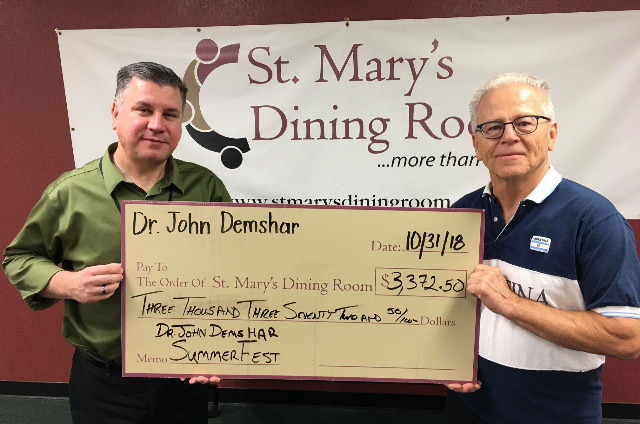 Summerfest 2017 raised almost $11,000 for three nonprofit Humanitarian Eyecare Groups that Dr. Demshar volunteers his time with to provide eye exams and glasses. The annual event supports the St. Mary's Homeless Shelter Medical Clinic, the Central Valley Flying Samaritans, and Lions in Sight. 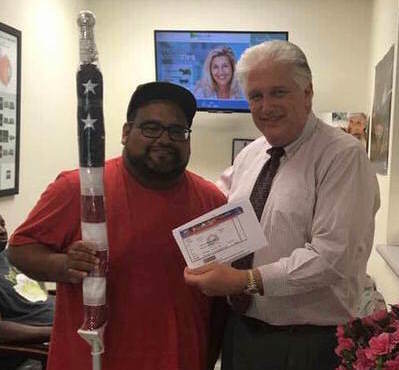 We hosted an American flag photo contest between Flag Day and Independence Day, and we invited the community to submit their best flag photos to win a pair of tickets to a Stockton Ports game and an American Flag. A group of four doctors (including our own Dr. Demshar) and seven technicians from Lions in Sight examined 700 patients during a weekend in Cabo San Lucas, Mexico. This was Dr. Demshar’s 111th clinical mission. We wore jeans for Denim Day on April 26 to support survivors and raise awareness about sexual assault. 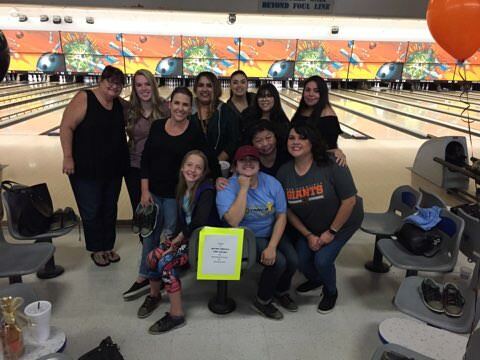 Our staff organized the event to raise funds to fight spousal abuse, and our doctors matched all contributions made in the office. We hosted a giveaway for Stockton Ports tickets, just in time for the start of spring baseball season. Three winners received a pair of tickets to two Stockton Ports baseball games. 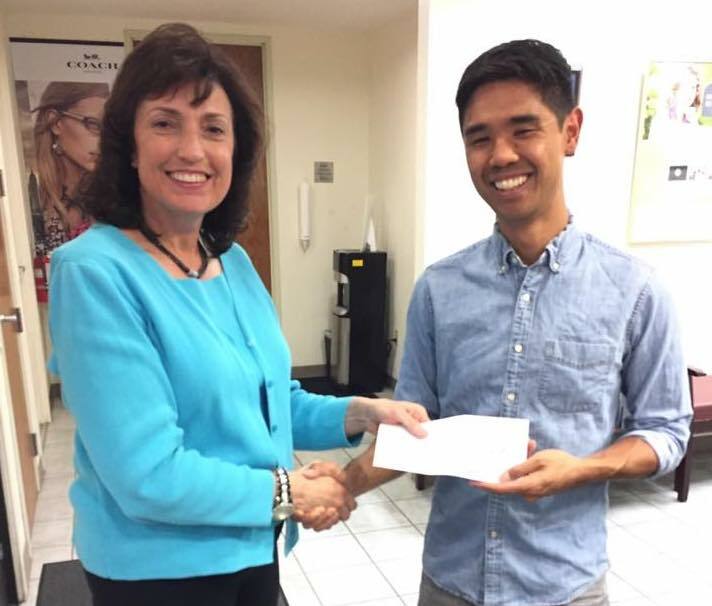 We sponsored our second annual $1,000 College Scholarship for a local student to help defray some of their costs when attending college. 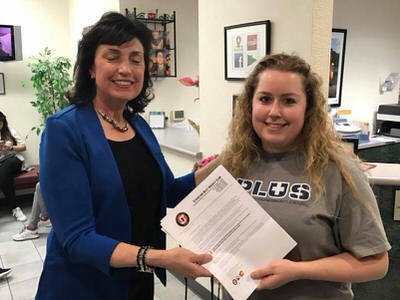 To enter, San Joaquin County high school seniors submitted a selfie with an influential teacher or coach, and shared about their vision for the future. 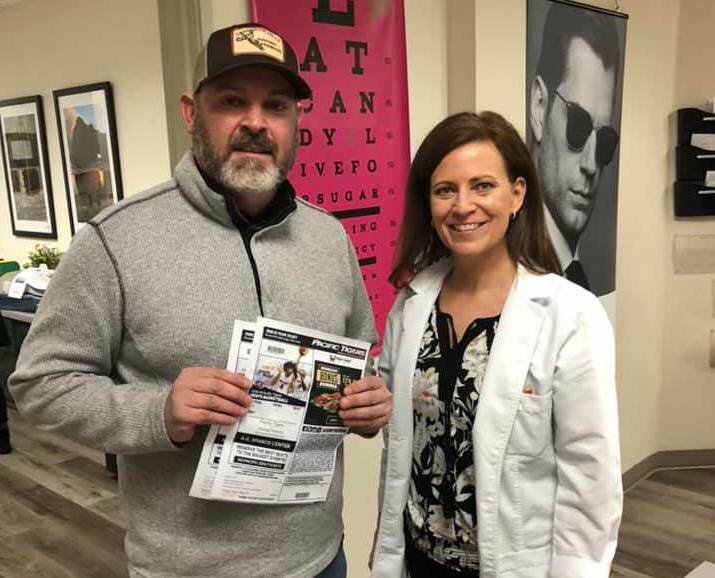 Brookside Optometric sent a few lucky winners to the NCAA Women’s Basketball Championship regional semifinal games in March. We supported the Stockton Heat hockey team during the 2017 season by giving away two tickets to a February home game. 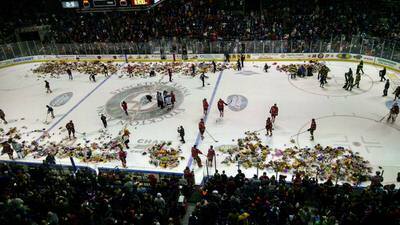 We collected Teddy Bears for the Stockton Heat’s annual Teddy Bear Toss in January. All bears were donated to United Way of San Joaquin County. 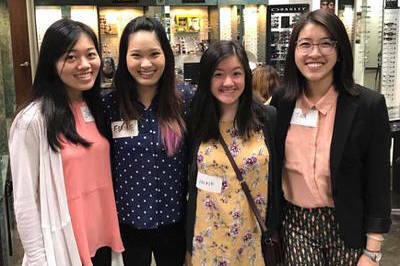 Brookside Optometric Group was selected as the first-ever private practice clinical rotation for fourth year interns at the Optometry School, giving students valuable insight and exposure. 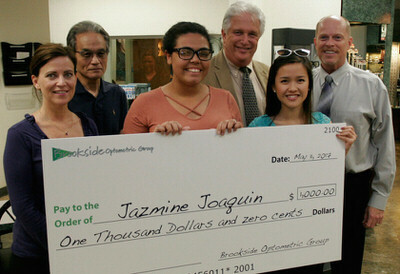 This is a joint project between the UC Berkeley School of Optometry, VSP, and Brookside Optometric Group. This is the first agreement of its type in California. We gave back during the holiday season by collecting coats and blankets to donate to the homeless and our four-legged friends at the Delta Humane Society. We supported the UOP men’s basketball team during the 2016 season by giving away a pair of tickets to the UOP versus Wyoming men’s basketball game. In honor of Breast Cancer Awareness Month, our office staff wore pink on October 14 to stand together, united against breast cancer, and to raise money for breast cancer research. 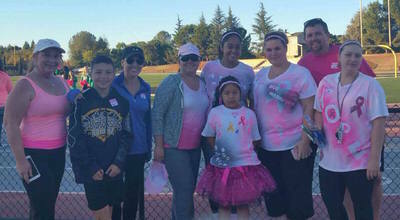 Brookside Optometric Group staff participated in the Making Strides Against Breast Cancer Walk on October 8. 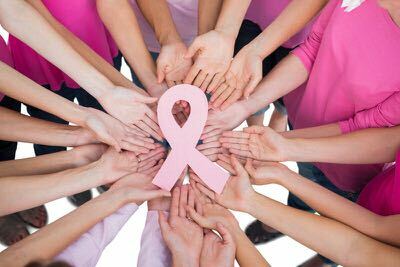 Our office matched all donations made to the American Cancer Society in support of our team and the fight against cancer. The Stockton Symphony celebrated its 90th Anniversary in 2016. We joined the celebration by giving away two tickets to the opening night performance. 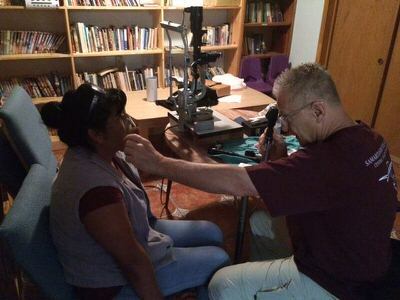 Dr. Demshar flew with the Flying Samaritans to two health care clinics in San Felipe, Mexico and one in San Quintin, Baja to provide eye care for thousands of people in need. This pushed Dr. D’s humanitarian trips to well over the 100 mark. Drs. Bob and Rosie Melrose were proud to once again be a Gold Sponsor at the St. Mary's Walk-a-Thon for the Red Rhino Orphanage Project. Red Rhino is an orphanage in Kenya founded by local Stocktonians. 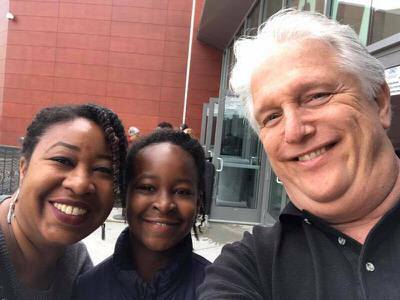 Bob and Rosie have supported a child at the orphanage for many years, and had the opportunity to finally meet her in person when they traveled to Kenya in June. We sponsored our first annual $1,000 College Scholarship for a local student to help defray some of their costs when attending college. To enter, San Joaquin County high school seniors submitted a 90-second video describing one way they made a difference in their community.